Bangalore, the Silicon Valley of the country, is always a charming city to visit. Though a cosmopolitan, it still has something for everyone in its bag. Here is a list of 5 thrilling activities around Bangalore. The salubrious climate makes Bangalore a place to visit all year round. Besides the city attractions like ISKCON temple, Lal Bagh Botanical Garden, Cubbon Park, Lumbini Gardens and many more, the countryside of Bangalore awaits the thrill seekers. Read more about Bangalore – a premier tourist destination of South India. There are few awesome and enchanting places near the city where you can enjoy a thrilling and adventurous holiday. So, indulge in some adventure activities, go on a bike and enjoy one of the best trips of your life. The residents of Bangalore are blessed with the awesome weather, fabulous city and what not. If you are travelling from other cities, do not worry, there are a large number of hotels in Bangalore which will take care of your stay. All just you have to do is to plan your trip accordingly and book room in advance for a hassle-free stay. From our childhood, this term enticed many of us. Well, have you ever thought of doing this in South India, may be not. 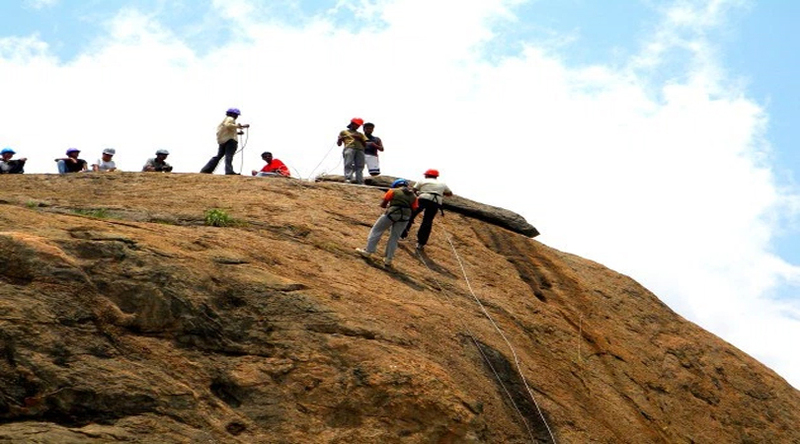 South Indian hills are mostly lush greens, but Ramanagaram is a perfect place for a rock climbing. From Bangalore outskirts, it is only 50 km away. Remember the movie “Sholay”, Ramanagarm is commonly called Sholay Hills after the shooting of this legendary movie. The series of tall granite hills calls for a great trip. Well, if you are not enough confident ask a skilled trainer to accompany you. But you should not skip climbing up. The spectacular view of the neighbouring terrain from the top is a memorable one. Thenginkalbetta is one of the hills, which is hardly touched by the travellers. You can go for that. Biking over the rutted and jarring trails is not for faint hearted people. So, get ready for the bumpy rides through Turahalli forest off Kanakpura road. It is about 2 hours drive from the main city. 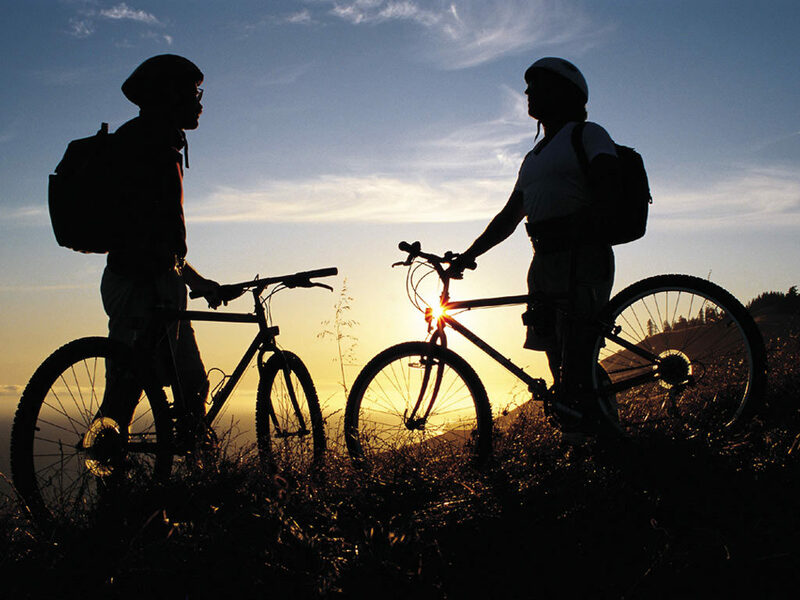 Mountain bikes are available here and it has a separate route for amateurs bikers as well. Tires tossing dust, enjoy the ride downhill. Yes, you read it right, bouldering in Hampi! Hampi is roughly 78 km away from Bangalore city. Known for ancient structures, Hampi village also offers a thrilling bouldering. 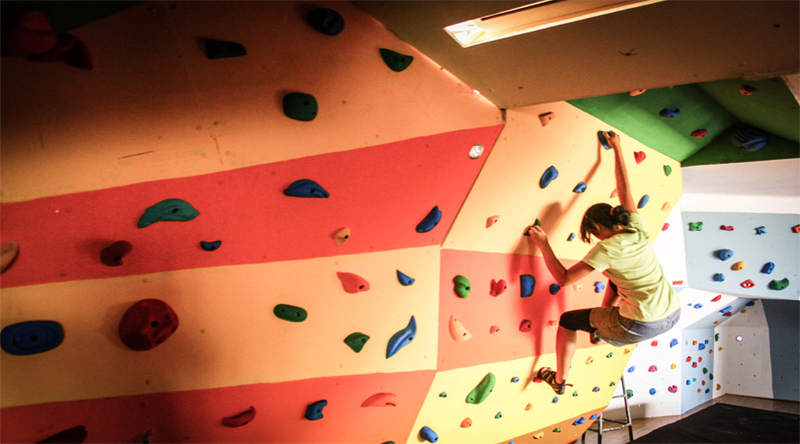 Bouldering is a sort of rock climbing which is undertaken without safety measures. So, boost your tenacious spirit but make sure if you are not confident, it is better to climb under professional guidance. 4) Paintball: It is a bit different activity than above mentioned three, but it is one of the popular weekend activities among the city’s young. Harmless and engaging war games with friends in Sarjapur or Kanakpur road which is situated in the outskirts of the city. It is approximately 1-hour drive from Bangalore. Move a little far away from the city, toward Coorg, to enjoy a wonderful trek amidst the tropical greens. Situated on the Western Ghats at a height of 1748m above the sea level, Tadiandamol is a great place to trek and spend a tranquil holiday. Nalaknad Palace serves as the base camp and along the way the sight of the natural springs will surprise you. 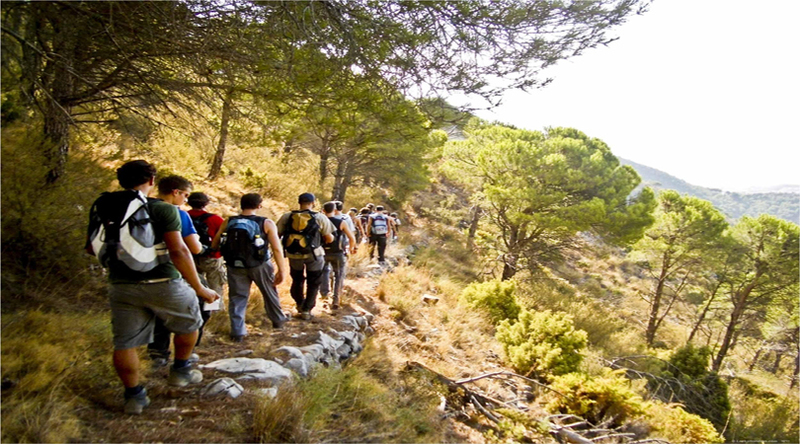 It is a moderately difficult trek and you should always be attentive. December and May are the apt time to indulge yourself in trekking here. It being an important city, reaching Bangalore is not a problem. It is well-connected with trains, flights and by roads. You can check cheap flight tickets and choose according to your convenient.